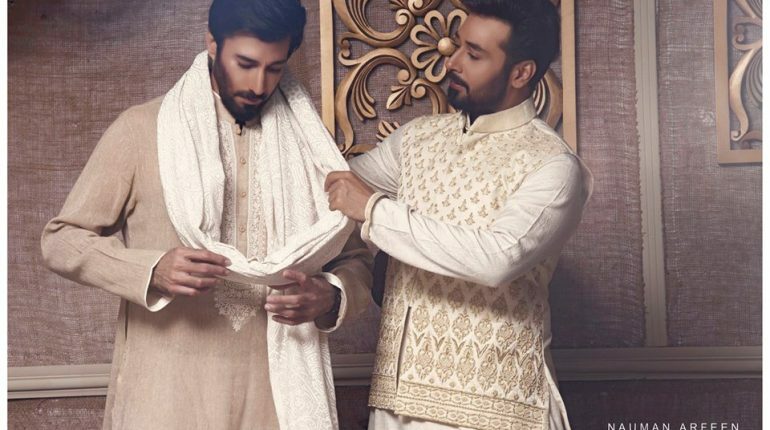 As soon as the wedding season starts off, as compare to the women, men are equally conscious about having a search for the best and perfect looking kurta design or sherwani piece for them. If you have been waiting for the same collection line, then hold your heart beats because here we have the trendy designed Nauman Arfeen summer dresses 2017 collection for men. Nauman Arfeen is one of the upcoming talented and well known fashion designers of Pakistan. 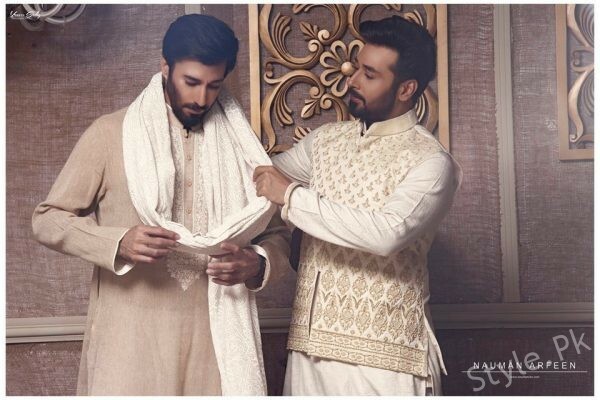 He has stepped into the fashion world for the last few years and hence has been giving out the best collection line options for the men in terms of sherwani and kurta designs. He do make the best efforts in bringing out the well turned out personality from the men which he do make possible through his collection launches. 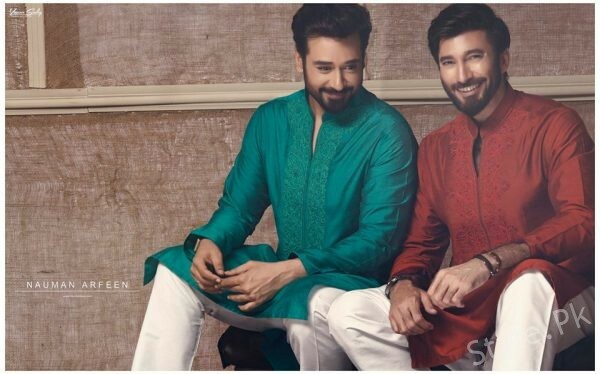 In this latest launched collection of Nauman Arfeen summer wear dresses 2017, the designer has been making the men offer with the classy and much fashionable style of the kuras and sherwani designs. This is what the collection is all about! Kurtas have been designed as medium in length in which they are paired with the straight trousers. Sherwanis are one of the most attractive part of this collection line that is breath-taking to watch. Over the areas of the sleeves, neckline and collars of the kurtas and sherwanis, simple and creative embroidery work has been done that look so classy. All the men will love wearing this collection line outfits for the family gatherings, on occasions of Eid festivals and weddings. So now without wasting any time let’s catch the amazing pictures out from the album of Nauman Arfeen summer wear dresses 2017 for men.